Alright, this one may not make you laugh out loud, but the interesting thing here is that there are hundreds of Lego enthusiasts out there that love to recreate various scenes using their Lego sets. 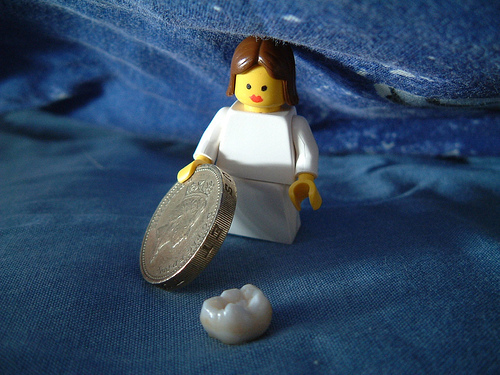 As you can see here we have a Lego maiden posing as the tooth fairy and exchanging a coin for a baby tooth (primary mandibular first molar, right?). Here’s another version of the Lego tooth fairy at work – click here. Lesson to be learned, never deny the power of Lego.